Scientists are constantly travelling around the world for meetings and conferences and one PhD student wanted to inspire other scientists to become more sustainable. Anna Belcher cycled 185 miles to the UK Antarctic Science Conference and prior to the start of the conference took part in education workshops using the International Polar Foundation Class Zero Emission workshop materials to highlight the impacts of carbon emissions on the fragile polar regions. 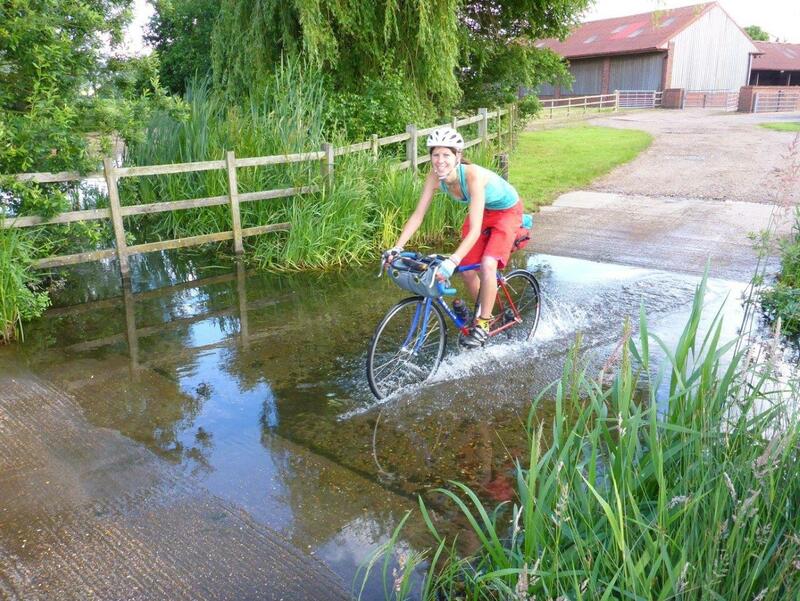 Oceanography PhD researcher Anna Belcher, based at the UK National Oceanography Centre in Southampton, decided that instead of using fossil fuel transport to get from her home to the UK Antarctic Science Conference, she would use sustainable transport, travelling by bicycle. Over 3 days, she cycled 185 miles on her bicycle “Merlin” from Basingstoke to Norwich. After completing the ride, she said that it was not only carbon-saving but was also a bit like a fun adventure holiday. Increase recycling of sample bottles. Anna, together with colleagues from the UK Polar Network, facilitated a session for Early Career Researchers prior to the Antarctic Science Conference, which included the International Polar Foundation (IPF) workshop on polar climate change and sustainability. Young researchers were given the opportunity to have a go at experiments which demonstrate aspects of climate change including sea level rise, ocean acidification, ocean circulation and albedo. They could also look at the giant 3D IPF polar puzzles, which illustrate how the polar regions are already changing in response to a warming planet. The workshop also highlighted the need for sustainability, tying in with Anna’s great example of sustainable travel.